Take flight in ALFheim Online on March 26. Sword Art Online: Lost Song will launch for PlayStation 3 and PS Vita in Japan on March 26, this week’s issue of Dengeki PlayStation reveals. The game will cost 7,120 yen on PlayStation 3 and 6,170 yen on PS Vita. A first-print limited edition including an Abec-illustrated special box, soundtrack CD, special contents Blu-ray, mini-clear poster, and special booklet will cost 9,980 yen. 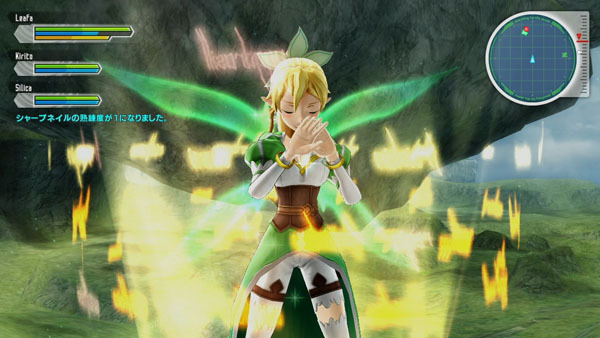 Characters featured in Dengeki PlayStation this week include Kirito, Asuna, Leafa, Silica, and Lisbeth. According to the magazine, using magic attacks, you can attack enemies at long-range.